8 1/2 L x 4 1/4 H X 1 7/8 D in. 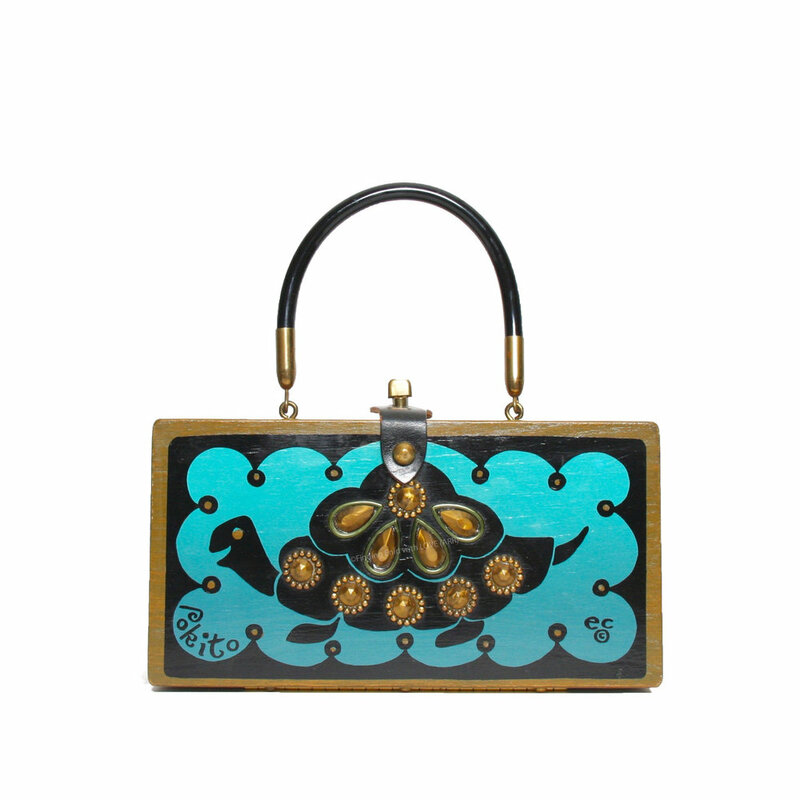 Box purse of medium-toned wood screen printed in black and bright turquoise, depicting a stylized turtle in profile. Tortoise's shell is decorated with faux gems in amber and with metallic-gold acrylic embellishments. "Pokito" serigraph in hand-script printed style appears in the left-hand side of the box top. Reg. no. GP74933; 05/15/1971; "Turtle"
A Tex-Mex take on similar "Poki" and "Slow Poke" turtle themes.